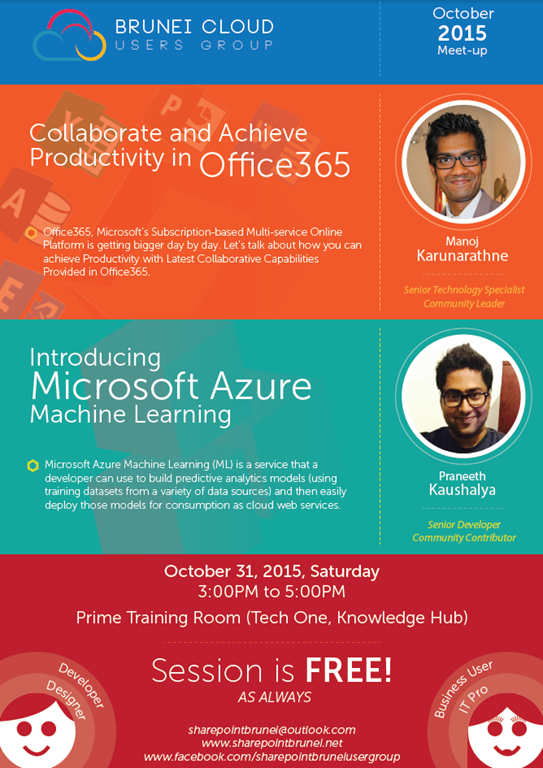 I will be Presenting at Brunei Cloud User Group May 2016 Event. It feels great to keep the sharing on going with a wonderful audience as always. see you there ! 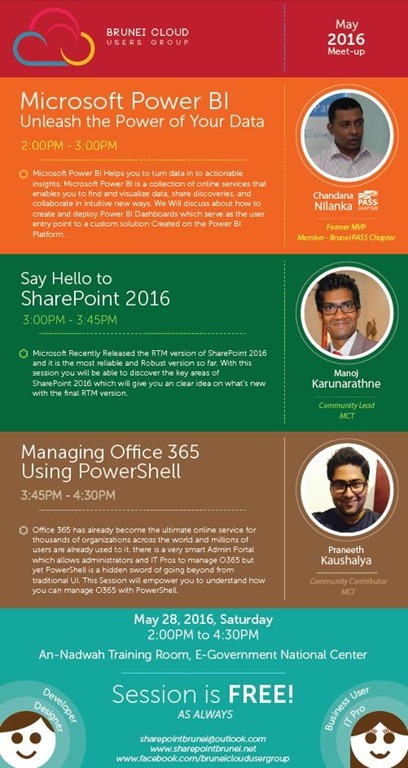 Time to say good bye to 2015 and right before that let’s meetup and talk a bit about latest SharePoint Member of the Product Family. 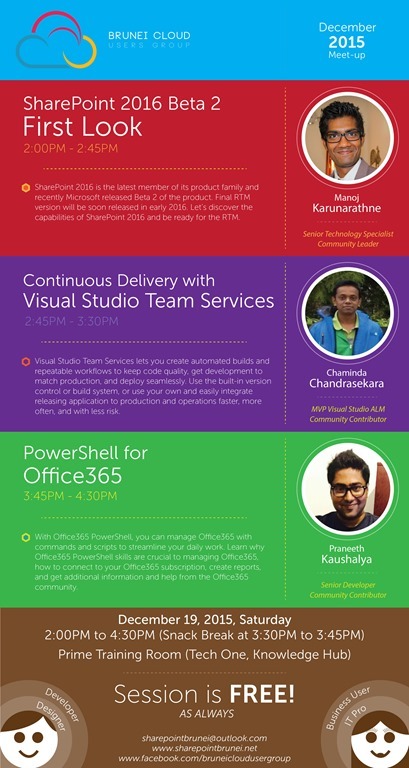 I’ll be presenting on SharePoint 2016 Beta 2 so that you are set to get start with Next RTM release.